Stainless steel gastronorm containers EN 631-1. 0.8 mm 18/10 stainless steel gastronorm containers (GN 1/1) with lids, airtight lids, draining trays and perforated containers. These stainless steel containers, and all their accessories, are suitable for preparing, transporting, storing and presenting food. Compatible with all appliances and utensils with the norm EN 631. 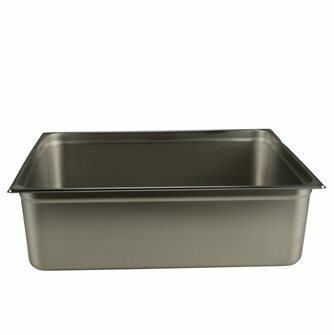 Drainer plate for gastronorm container 1/1 in stainless steel. Compliant with the EU food standard EN631.1. Stainless steel gastronorm container for presenting, preparing and preserving food. Stackable container. Compliant with the EU food standard EN631.1. 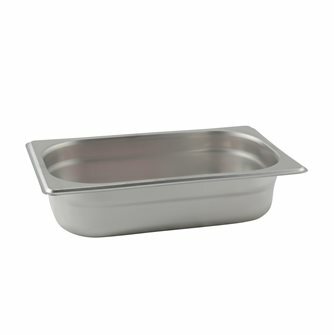 Lid for gastronorm container 1/3 in stainless steel. Compliant with the EU food standard EN631.1. 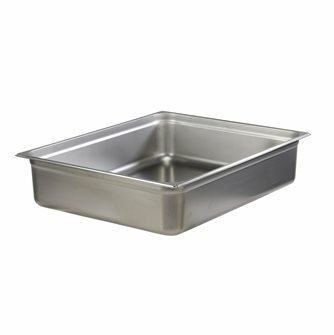 Lid for gastronorm container 1/6 in stainless steel. Compliant with the EU food standard EN631.1. Lid with a silicone seal for gastronorm container 1/6 in stainless steel. Compliant with the EU food standard EN631.1. 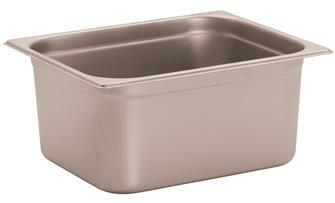 Gastronorm stainless steel tray for the presentation, preparation and preservation of food. Stackable container, compliant with food standard EN631.1. 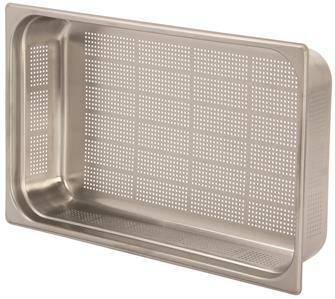 Stainless steel perforated gastronorm container 1/1. Height: 6.5 cm EN-631 standard. 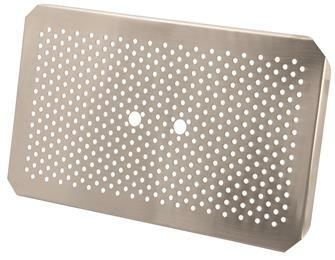 Perforated stainless steel gastronorm container for presenting, preparing and preserving food. Stackable container. Compliant with the food norm EN631.1. Gastronorm stainless steel tray for the presentation, preparation and preservation of food. Stackable container, compliant with food standard EN 631-1. 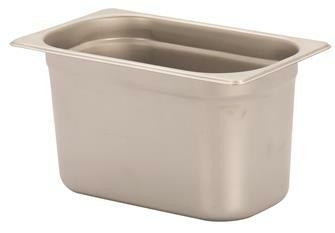 Drainer plate for gastronorm container 1/3 in stainless steel. Compliant with the EU food standard EN631.1. 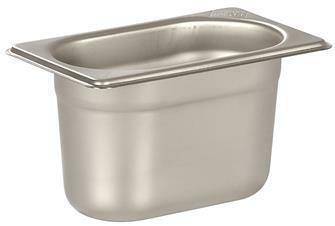 Lid for gastronorm container 1/2 in stainless steel. Compliant with the EU food standard EN631.1. 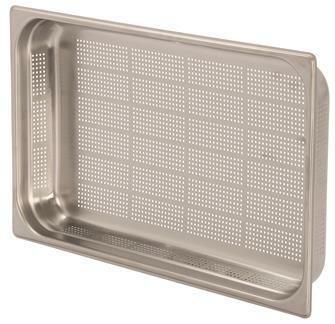 GN gastronorm stainless steel tray 1/2h. 4 cm EN-631. 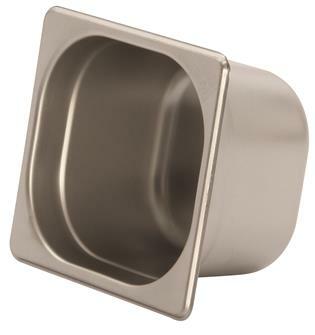 Lid with a silicone seal for gastronorm container 1/1 in stainless steel. Compliant with the EU food standard EN631.1. 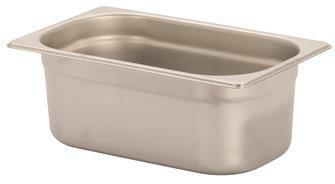 Lid for gastronorm container 1/4 in stainless steel. Compliant with the EU food standard EN631.1. 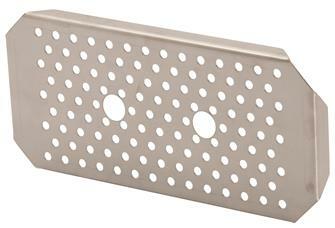 Stainless steel perforated gastronorm container 1/1. Height: 10 cm EN-631 standard.